Whether hosting home gatherings to allow you to ask questions in an informal setting, or inviting you to join with us at public events, we are here to help get you connected to your neighbors on this issue. You may contribute online by clicking the red button, or you may send a check to LOGIC (League of Oil and Gas Impacted Coloradans). 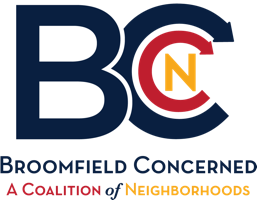 Please put “For Broomfield Concerned” in the memo line, and mail your check to: LOGIC, PO Box 452, Erie, CO 80516.